"Making a living will is one of the kindest things you could do for both yourself and your loved ones, because by speaking for you when you can't, it can save them from unnecessary stress and expense, and can save you from prolonged pain and suffering." Without doubt, the most heartbreaking Advance Directive we have ever received came from an 82-year-old spinster, Reinette. A few months after completing it she committed suicide "to prevent the holes in her head from merging into one". Her Advance Directive and suicide note were found on the bedside table next to her lifeless body in an hotel room she'd chosen for this purpose. 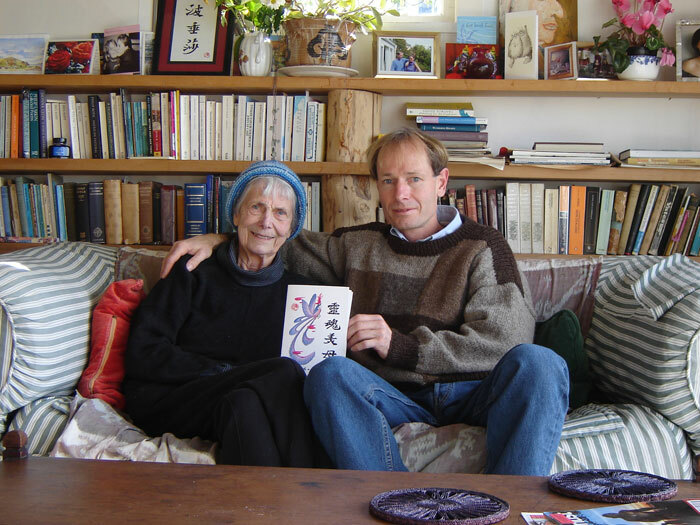 An article by Julian Jansen on Reinette's suicide can be found here. It's in Afrikaans and behind the Netwerk24 paywall. 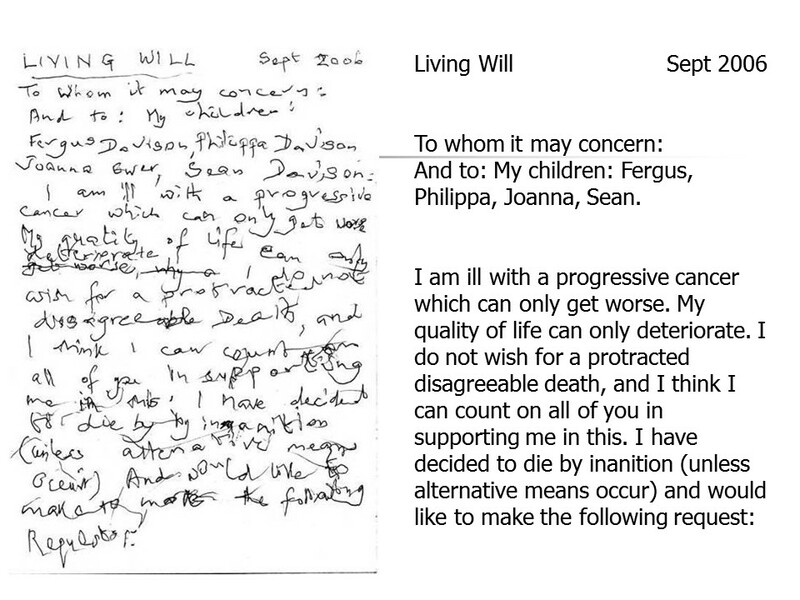 The Living Will of Patricia Davison, Professor Sean Davison's Mum and, essentially, the reason he was convicted of assisting her to die. Prof. Davison served just over 5 months under house arrest and had to be moved to a secret location after religious fanatics threw bricks with death threats attached through the window.